A historic reunion took place in London on 7 June when the legendary New Lost City Ramblers (Mike Seeger, John Cohen, Tom Paley, and Tracey Schwarz, giving both their 'early' (Paley) and 'late' (Schwarz) configurations) played a concert at the Shaw Theatre, Euston Road, NW1, organised by the Institute of United States Studies at the University of London. The NLCR formed in 1958, performed together for the best part of twenty years, and have been the single most important force in revivifying old-time music, both by their own example and by their work in making traditional performers more widely known. 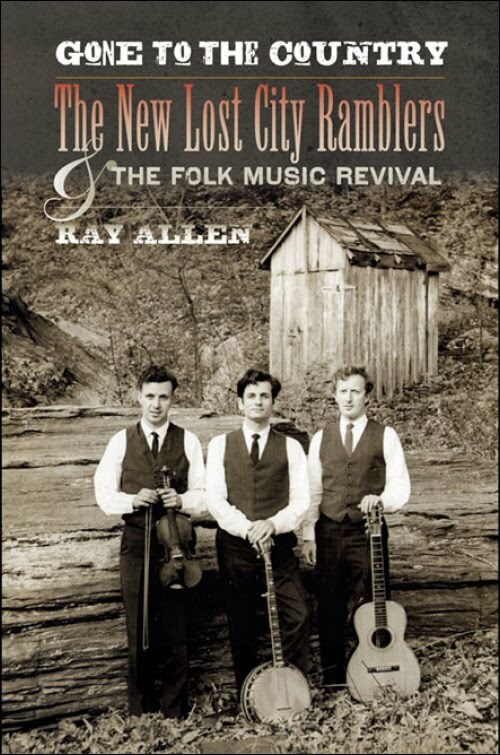 They also did a lot to make bluegrass, cajun, and early western swing known to the folk audience. Their single most radical policy was to base a repertoire on what country people chose to put on record in the 1920s and 1930s, rather than what scholars classified as 'folk music'. They backed this up with mastery of an amazing range of instruments and styles, learned either from the original recordings or from the musicians themselves. In the often frothy atmosphere of the folk revival, the NLCR therefore stood as a model of vigorous, many-faceted, and humorous authenticity. It was so strong a model that for a time many revival bands copied their eclectic, multi-instrumental sound; but their basic emphasis on what rural musicians actually do eventually produced a new generation of bands with strong individual styles. They have recorded over twenty albums, and been nominated for two Grammy awards. Goin' to Cade's Cove, a short film about them made in 1968, can be seen on YouTube. To mark their fiftieth anniversary, Yasha Aginsky made the one-hour documentary Always been a rambler, issued on DVD by Arhoolie; a three-minute trailer can be seen here. And in 2010 the University of Illinois Press published Ray Allen's Gone to the country: the New Lost City Ramblers and the folk music revival (328 pages, 24 black & white photos), still available at $95.00 (hardback, unjacketed), $25.00 (paperback), and $22.50 (e-book). Update: For much more detail, see Richard Thompson's feature on Bluegrass Today.